ABATE of Arizona, Inc. is a non-profit motorcycle rights organization that is dedicated to freedom of the road for all motorcyclists. 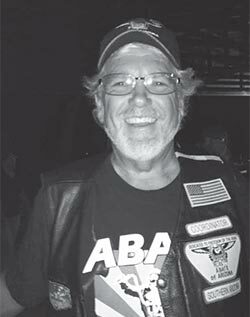 ABATE is a volunteer organization that fights discriminatory legislation aimed towards the motorcycling community. ABATE’s position is that all motorcycle riders have the right to choose not only the machine that they ride, but also the riding gear that they choose to wear or not to wear (i.e., leathers, gloves, boots and helmets). ABATE promotes rider education for all motorcycle riders, and motorcycle awareness for all automobile drivers. ABATE needs the support of all motorcycle riders. • Are you thankful you no longer need to emission test your motorcycle in Maricopa County? • Do you like having the freedom to choose whether to wear a helmet or not? • Do you like the freedom to work on or customize your motorcycle? • Do you know that there are dollars available for motorcycle safety and awareness? Please help the Motorcycle Rights Organizations in Arizona to prevent our Governments from restricting our ability to ride free. With your help, we eliminated the emission testing of motorcycles in Arizona. We fight our national-level battles with the EPA and NHTSA, and effectively watchdog the Arizona legislators who, on a yearly basis, have entertained the idea of introducing a mandatory helmet law in our state. join ABATE of AZ. If you care about your rights as a biker, you’ll do it. Who We Are…We will lobby and educate the government and general public to promote motorcycling in a safe and positive image. We will endeavor to enlist the cooperation and participation of all organizations and individuals who share a similar interest in preserving our American tradition of freedom. We will involve ourselves in fund raising to achieve our goals. ABATE of Arizona Needs You!!! … And if you ride a motorcycle in Arizona, You need ABATE of Arizona!! !